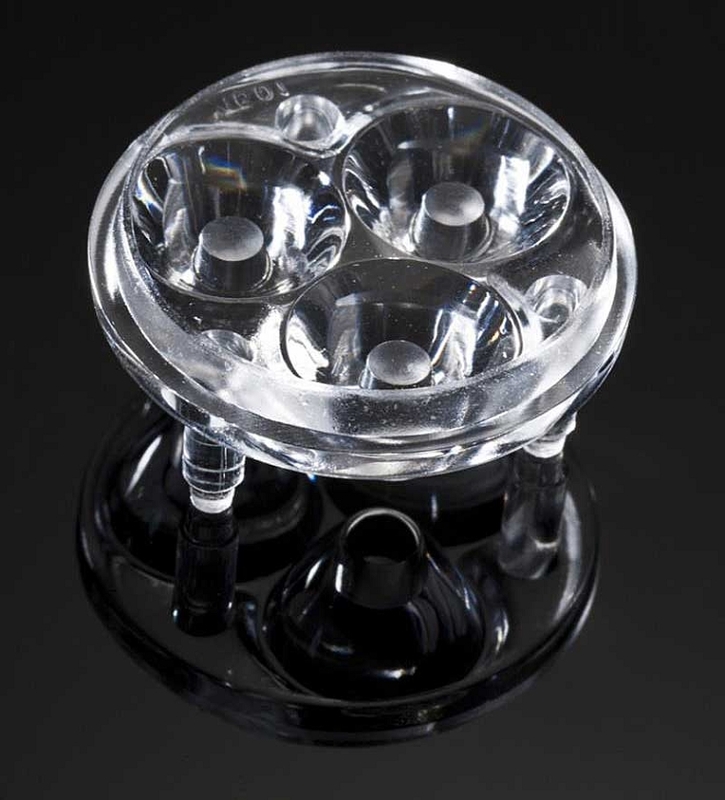 The Ledil 9° circular beam Tri-LED lens offers both a very compact footprint and 90% transmission efficiency. The lens has integrated legs making it very easy to secure the lens assembly directly to the PC board with adhesive. Ledil optics are manufactured from lens quality PMMA, and can operate up to 105°C. Our full line of 20mm pre-mounted Tri-Star Rebel LEDs have been specifically designed to work with this lens, making it easy to mount and precisely position the lens over the Rebel LEDs. Loctite 460 instant adhesive offers an easy solution for fastening this optic to the LED assembly.